Explore latest collection of sangeet lehenga online at Kalkifashion. Wide range of designer sangeet lehenga at best prices. 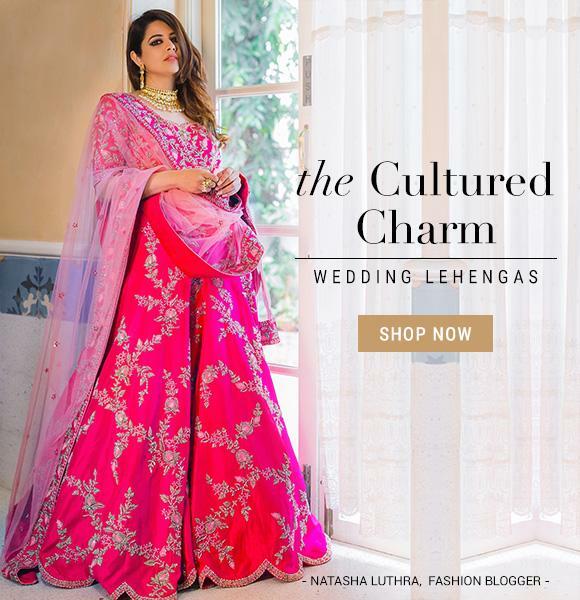 Sangeet Lehengas: A bride’s long-wished ethnic desire! Lehengas cholis is a classic sangeet choice if you are someone with an hourglass or square figure. Though lehenga cholis are chosen for weddings as well, the fabric, design, blouse pattern and bottom wear is where the entire play revolves. If your sangeet is an outdoor morning event, you can be assured of striking pictures by choosing colors in pastels like peach, lavender, grey mélange, mint green, sea blues, lemon yellows in fabrics like silk, crepe, georgette and even cotton for that matter. Though sangeet lehengas are the most sought-after option, they might not be suitable for everybody shape and type. 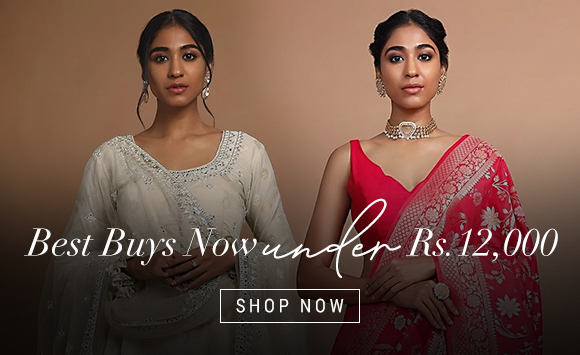 For brides like these, you can experiment with new and trending bottom styles from the bridal wear like sharara lehengas, dhoti pants, cigarette pants etc. You can pair them with crop top or a regular kurta as well. Bridal dress collection has the scope to widen as far as your imagination. For brides that like to look a class apart, the standard lehengas cholis is not for you. What you need is something that would add-on to the look of prevailing sangeet lehengas. This can be done by complementing the look with on top additions like cape, jackets, belts, signature accessories like kamarpatta etc. Getting the right sangeet lehenga as per your budget, taste and body shape is nothing else but a dream come true. Kalki Fashion aspires to fulfil the long wish of every bride to look dazzling on her big day. We work towards our goal and indirectly towards yours with our range of exclusive and designer sangeet lehengas. Check them out today.